Initial third was very smooth with a combination of nuts and sweet hints of chocolate. Medium strength in the flavor with no hits of spice or pepper. Very consistent in the taste with no deviation from this combo. Aroma was sweet, not pungent with the nutty smoke dominating. The burn was even with no hot spots or tunneling. The ash was a solid white but needed two re lights during the second third of the smoke. No real apparent reason for this as the construction for the smoke appeared well made. Maybe I missed something in my initial look. 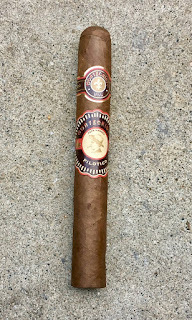 I appreciate a well crafted, thought out cigar which brings the consumer a variety of taste and flavor. 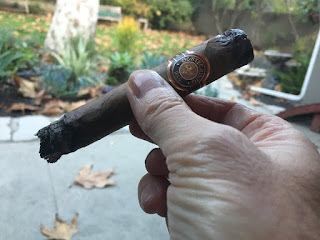 Somehow the Montecristo Pilotico missed the mark for me. 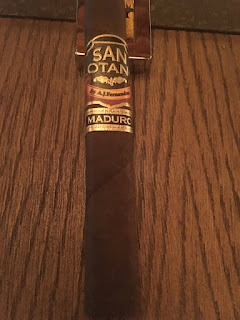 It fell a bit short on just about all avenues of an outstanding cigar. 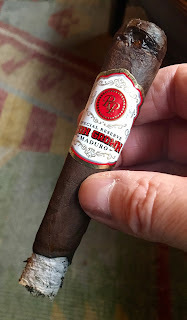 Here is an unusual, perhaps unfamiliar cigar that gleams with distinction but doesn’t have much market history, as it only came out last summer. The wrapper is a striking hue somewhere between red and brown and the beautiful shape is all curves and tapers. Salomones, as they’re known in cigar factories, are far from an easy cigar to craft. Look closely at the band, which is a shade of emerald green, and you see the letters “LFD”: La Flor Dominicana. 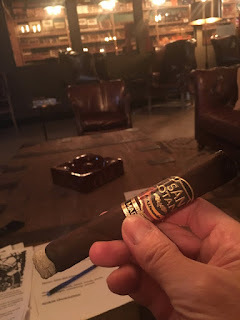 The cigar is called the Andalusian Bull, and nothing about it is typical. But nothing a bout its creator, Litto Gomez is typical either. With Gomez, you’ll find few of the tropes and stories typically associated with men in the tobacco business. No family history in tobacco. No Cuban lineage. No passed-down tobacco traditions. Born in Spain, but raised in Uruguay, Gomez came into the cigar industry in 1994 after a stint in the jewelry business went sour. His initial cigars were mild, but Gomez started getting the attention of premium smokers when he began producing stronger blends rolled in unusual shapes. Some will remember the El Jocko Perfecto No. 1 and all should know the wedge-shaped Chisel. Such odd shapes have become mainstays in the cigar world. Among serious smokers, the Chisel is now synonymous with La Flor Dominicana—which brings us to the Bull. The La Flor Dominicana Andalusian Bull is a truly new concept within La Flor’s portfolio of fine cigars. The size is based on that of an old cigar mold that Gomez found in Belgium. Naming it after Andalusia was a nod to Spain, the country where Gomez was born. And the silhouette of a matador on the band represents the celebrated history of the sport of bullfighting in Andalusia. That eye-catching shade of green is similar to that found on the Andalusian flag. But there’s more to decode. The font on the band is based on Pablo Picasso’s handwriting—he loved to paint bulls—and the scrollwork reflects patterns found on a bullfighter’s uniform. Fittingly, with this combination of heavy-handed and subtle symbolism comes a blend that is both bold and refined (like a bull and a matador). Gomez and his son Tony collaborated on the cigar and spent a fair amount of time fine-tuning the blend. 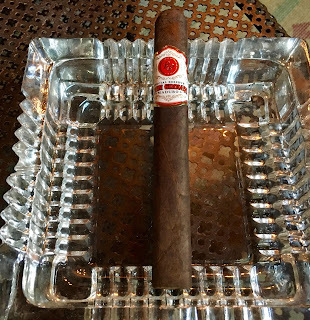 The result was a cigar as intriguing in flavor as it is in appearance. 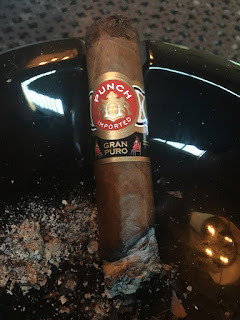 It’s a combination of Corojo-seed Ecuador Habano wrapper on a blend that consists primarily of Dominican Criollo ’98 tobacco, a hybrid and a bit of Pelo d’Oro too. First impressions are bold and savory with strong notes of hickory and leather. But it continues to take on a complex spiciness of saffron and cumin as well as a slight tangy note that brings the strength and spice together quite gracefully—and it only gets better with every puff. Gomez owns the brand and company with his wife, Ines Lorenzo-Gomez. This marks the first time that La Flor Dominicana has been awarded No. 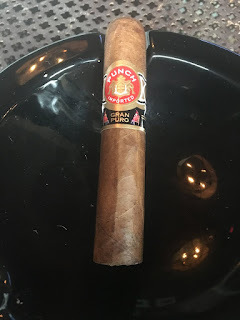 1 Cigar of the Year. Fidel Castro, the Cuban revolutionary who would rule the island for nearly five decades, has died at 90. Born in 1926 to Spanish immigrants to Cuba, Castro would become politically active as a laws student at the University of Havana in the mid-1940s and quickly became a critic of then-president Ramón Grau. In 1950, Castro co-founded a law practice for the far that ultimately provoked unsuccessful. He then planned to run for congress in the 1952 elections, but Fulgencio Batista took control of the country in a military coup and cancelled the elections. Castro began a variety of attempts to remove Batista from power starting with lawsuits that proved fruitless before ultimately turning to the idea of overthrowing the government. In 1959, after nearly a decade of fighting, Castro and his MR-26-7 movement (26th of July Movement) succeeding in overthrowing the army of Batista. Castro then started a government of his own and transitioned Cuba to a communist country. This included the seizing and nationalized of private owned businesses including all of Cuba’s tobacco industry. In 1962, days before the Cuban Missile Crisis, the U.S. extended its embargo to include almost all Cuban goods, cutting off Cuba’s cigars and other products from the world’s largest market. Castro himself was a cigar smoker. The modern Cohiba brand was started in the mid-1960s as a private label for Castro himself. In 1968, Cubatabaco launched the brand to be used as diplomatic gifts and in 1982 Cohiba would be offered for sale. In 2006, an ailing Castro relinquished powers to his brother Raúl. Over the last decade, Raúl and President Obama have made significant strides towards dismantling many of the restrictions created by the embargo. American consumers are now able to bring back Cuban cigars they purchased abroad, commercial flights to Cuba resumed earlier this year and many of the economic restrictions on the island regarding private businesses and foreign investments have been moderately relaxed.